Camino’s epic new special, The Big Iberico burger, is a thing of beauty. The Spanish-style creation is now available across all sites until the end of March. 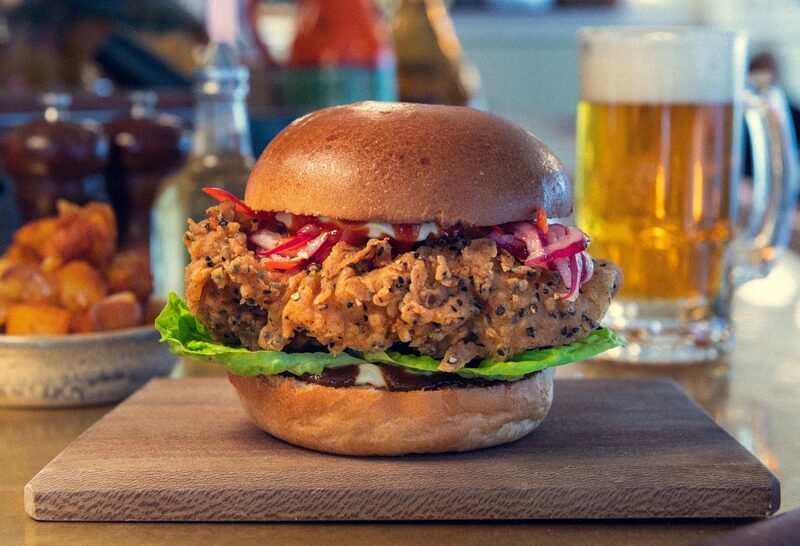 It includes the finest quality Iberico pork patty, chorizo and penapelada cheese, with buttermilk onion rings, tomato and watercress, all packed into a soft and pillowy brioche bun. Served with patatas bravas and topped with black garlic aioli and bravas sauce, it’s not only extremely delicious, but also very good value at just £9.75. If you’re feeling in need of a healthy antidote, why not try the Chargrilled calçots with Romesco sauce? Also on the menu for March, it’s priced at £6.75. 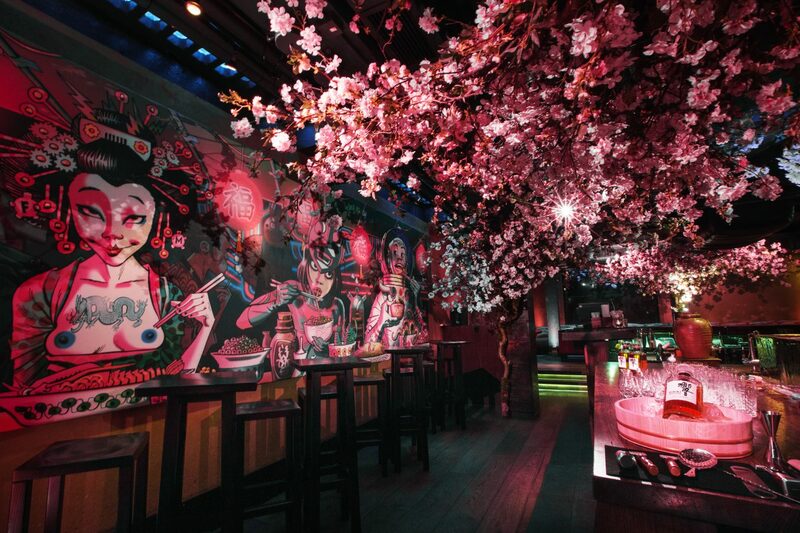 The all too brief cherry blossom season has been bringing admiring Londoners to view Shochu at ROKA’s famed pop up installation for years. This year, as ROKA celebrates its 15th Anniversary, a brand new, beautiful canopy of delicate pink blossoms will become a permanent fixture at Shochu. Created in a collaboration with the House of Suntory, the immersive Sakura at ROKA’s Shochu installation will launch on Tuesday, 26th March with a new menu of Suntory Sakura Cocktails. Additionally, a new Sakura Sunday Brunch offering will launch on Sunday, 7th April. Sakura Sunday Brunch will introduce two new menus, priced at £60 and £80, including an array of brunch cocktails and free flowing wine. Both menus will start with a generous selection of ROKA favourites, brought to the table: from sashimi and California maki to gyuniku to watarigani (soft shell crab with roasted chilli dressing. Larger dishes include kampachi robatayaki kinoko no tryufu (robata grilled cobia with mushrooms and truffle sauce). To finish, there will be ROKA dessert platter for the table. The accompanying cocktails include a Japanese-style Bloody Mary and yuzu highball made with the House of Suntory Roku gin, yuzu shochu, lemon and soda. The Sakura Sunday Brunch will be available for those aged 21 and over weekly from 12.30 to 4pm. 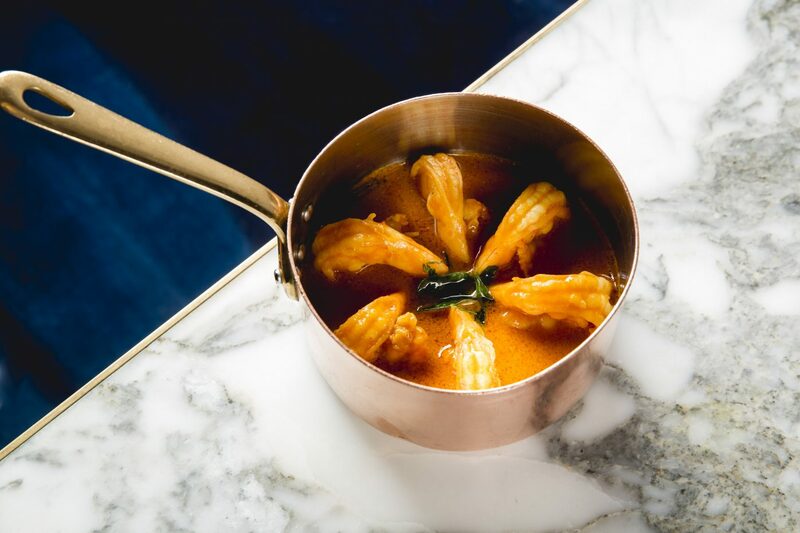 Since recently opening after an extensive rebuild, Tamarind Mayfair has gained the attention it deserves for its breathtakingly beautiful design and wonderfully crafted new Indian dishes. It’s therefore welcome news that many of these are now available as part of a very reasonable Lunch and Pre-Theatre Set Menu, with examples including Allabadi Baked Samosa, Crispy Chicken Wings and Kerala Fish Curry. The Tamarind Set Menu is available from 12pm to 2.30pm and 5.30pm to 6.30pm Monday to Sunday and is priced at £25 per person for two courses and £30 per person for three courses. The Foxlow Xinger Burger has arrived. 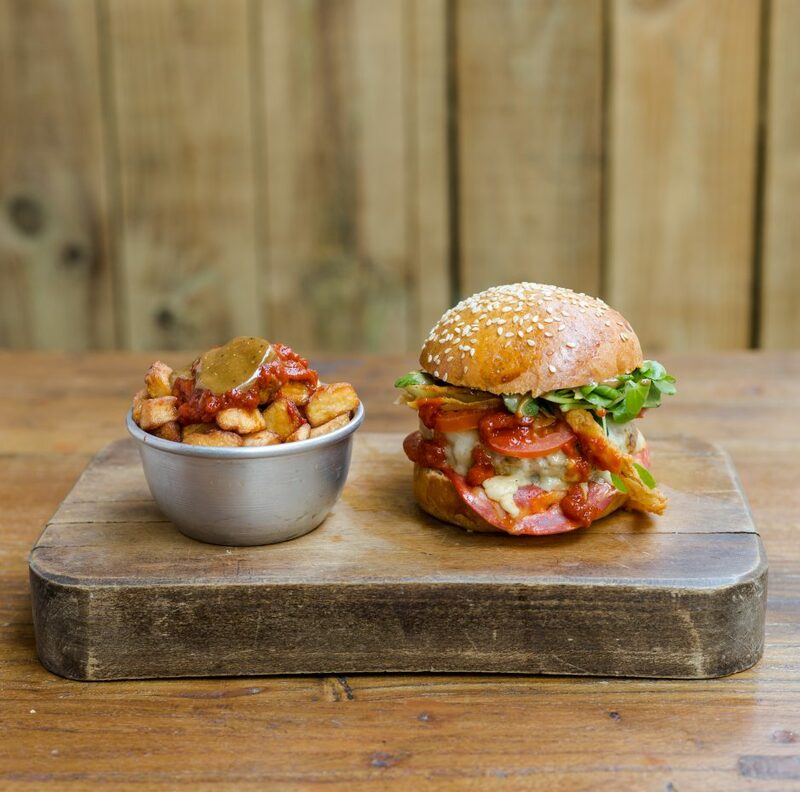 A tongue in cheek nod to a certain well known classic, the Foxlow Xinger Burger is loaded with spicy coated Creedy Carver chicken, red chilli rellish and spicy aubergine sauce and served with smoked paprika and onion cubed home fries. Spicy, delicious and a perfect fuel for cold winter months, it will be available in all three Foxlow restaurants (Soho, Clerkenwell and Balham) for lunch and dinner until 30th April, priced at £15 (including home fries).